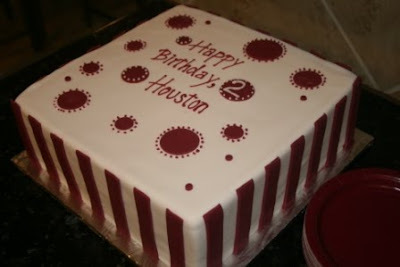 Of course I waited until the last minute to do this! 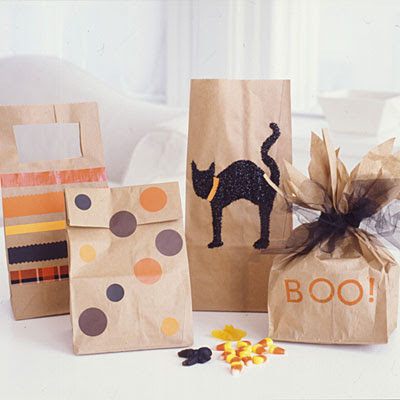 I'm looking for cute and simple treat bag ideas for my son's Mother's Day Out class and I just found these and think they are precious. I just might have to give them a try! Now I just have to drag myself to Target or Michael's and get them made! 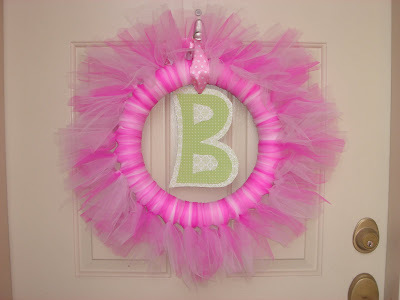 This very girly door wreath is PERFECT for a little girls ballerina party! 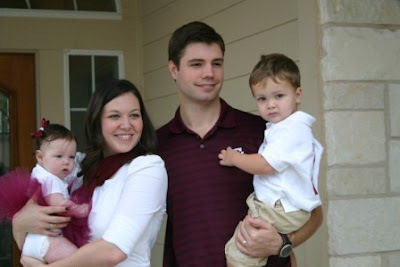 My longtime friend, Amanda, has always been crafty and she just opened up her own Etsy shop!! She has a few items for sale in addition to the wreath. 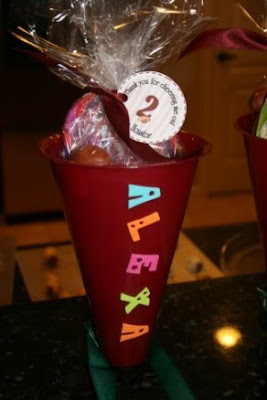 Knowing Amanda, she will continue to add really cute things! I love this fall centerpiece. What I love even more is how easy it is to recreate. 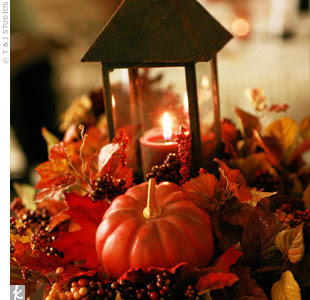 All you need is an iron lantern, silk fall leaves and miniature pumpkins which you can pick up at the grocery store. And there you have it! I know, I know! Halloween has not even come and gone and I'm already thinking, let alone talking, about Christmas!!! I just can't help myself! My husband keeps laughing at me because for the past month, I have been stalking Barnes & Noble (and grocery stores!) to see if the Christmas magazines have started rolling in. I have a good excuse though! My baby boy turns one on December 16th and I am planning a big birthday celebration. 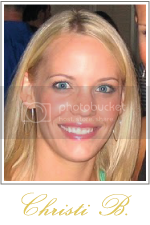 I love reading blogs, but I think it has been a blessing and a curse when it comes to this particular party. Normally, I would have had his party planned out in my head months ago, but I keep seeing so many great ideas, that I never can settle on anything. I think I have finally decided though, so stay tuned for the details to come. I'm so excited! In the meantime, here is an inspiration board I put together with pictures I have saved over the past few months. 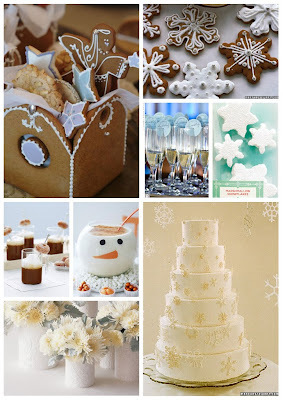 And I can't remember where I found the cute snowman punch bowl! If you know, please send the info my way! 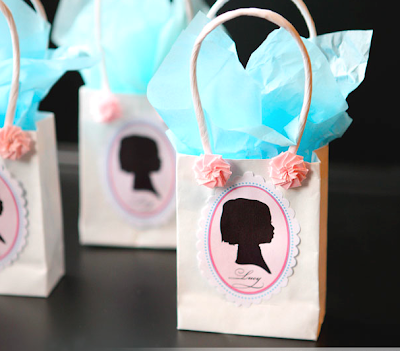 Monograms and silhouettes are two of my favorite things! I'm a traditional girl at heart and these are two great classics. 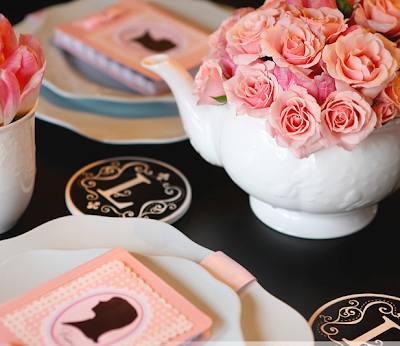 This incredibly dainty tea party was featured in the fall issue of St. Louis Entertains. 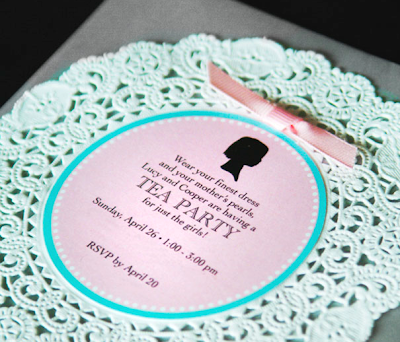 The doily invitations and paper goodies were designed by Serendipity. The china rental came from Head of the Table which is a great blog I follow. 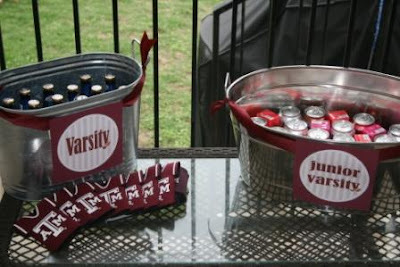 To see more pictures and learn about the party details, visit St. Louis Entertains. Is this just not the cutest thing?! 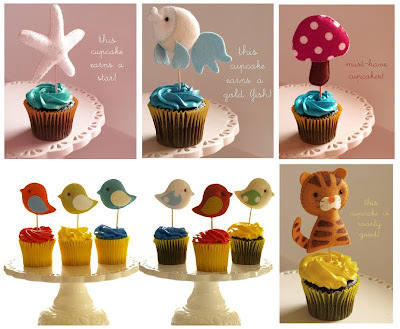 These would be adorable on the top of cupcakes at a Zoo or Noah's Arc party! 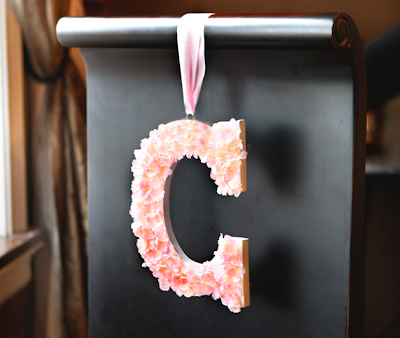 I originally spotted these cute felt toppers over at The Party Dress. 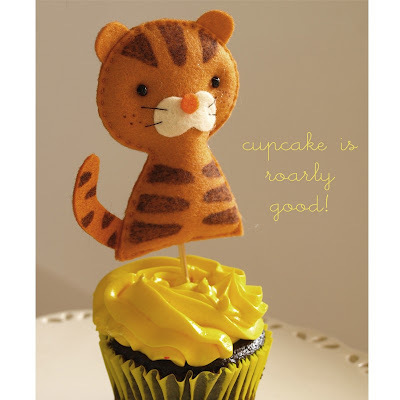 This Etsy seller offers a few more really cute felt cupcake toppers. 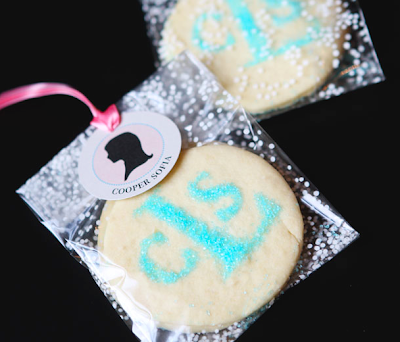 I had the pleasure of coordinating a Cupcakes & Cocktails bridal shower this past weekend for a friend. 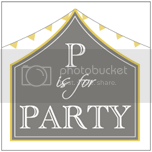 I had a GREAT time planning the party and I can't wait to share the pictures with you once the photographer, Angela Francis of Bella Smile, sends them my way! 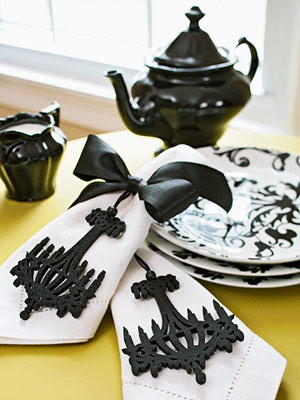 These swanky chandelier napkin adornments would be perfect at a Halloween dinner party. Find the chandeliers here or similar ones here in other vibrant colors. 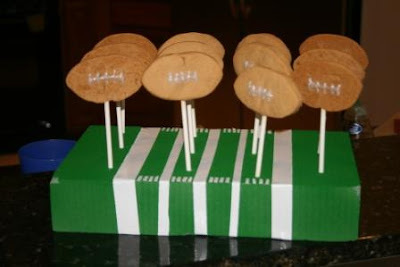 I have another great football party to share with you! 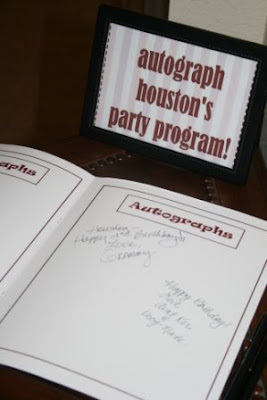 This one was thrown by my friend Kristen (another great event planner I used to work with!) 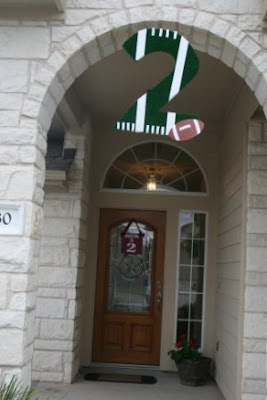 for her son, Houston, who was turning two. 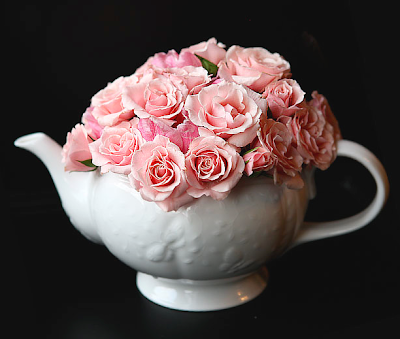 Kristen went all out and I just love all of the details she incorporated into his special day. 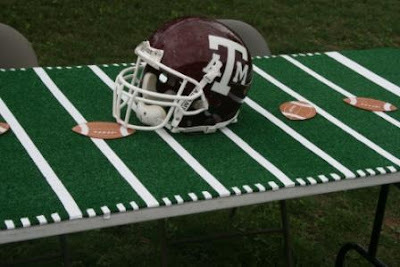 Not only is this a great theme for a boy, but you can use her ideas for a grown up version like a tailgate or super bowl party. 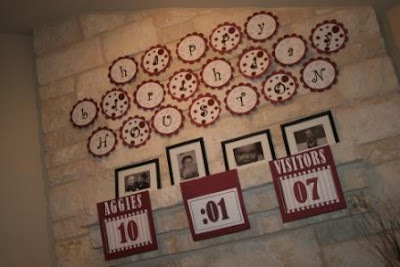 Just change the decor to your team colors! 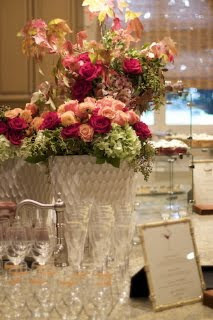 I really like this simple fall centerpiece from the latest issue of Martha Stewart Weddings. 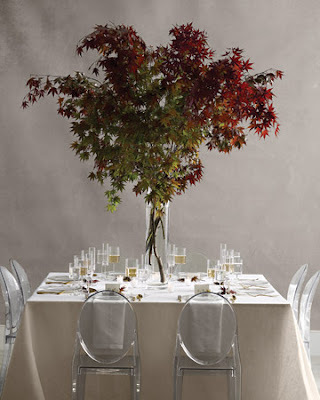 All you need to recreate this look is a tall, clear vase and a handful of maple branches. 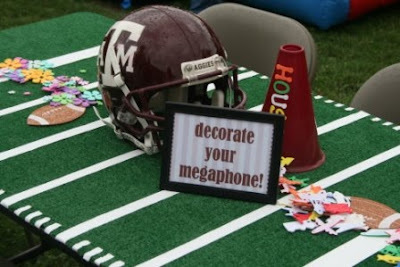 I also like that the centerpiece will not block the view for the dinner guests. I am still on my Rice Krispie Treat kick and I just had to share this genius of a store with you! Have you ever heard of The Cripsery before?! It sounds divine and I am going to place an order as soon as I find an excuse to do so. Their flavors sound amazing! Caramel & Marshmallow, Crispy S'more and Peanut Butter Cripsy are just a few of the mouth watering options. 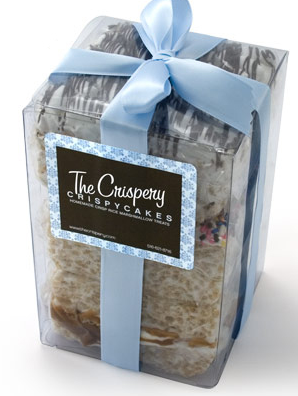 Check out The Crispery online and I guarantee you it will be hard to click off the site without placing an order! 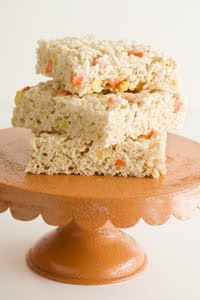 I am a sucker for Rice Krispie Treats, so when I saw this version from Paula Deen, I knew I had to try them! I made them tonight and they are YU-MMY! 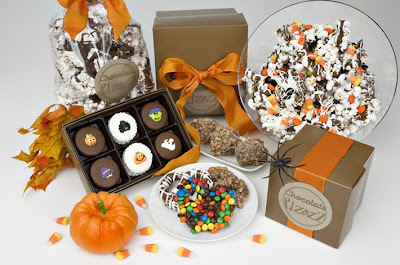 They would make a perfect addition to your Halloween or fall celebration. Here is the recipe. 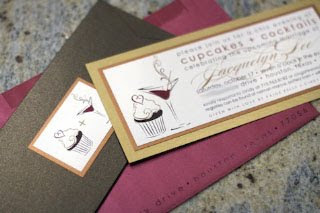 Thank you to The TomKat Studio and Modern Eve for pointing me to these delicious treats! I know summer is over and outdoor entertaining is quickly coming to an end, but I found this picture and just could not wait to share it with you until next spring! This tent is GORGEOUS! What a statement it makes and it would would look fantastic in many different color combinations to fit your color scheme. 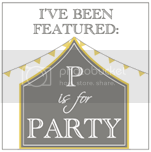 The tent could serve as a special area for the cake, dessert station or even a sign in area. There are so many possibilities! 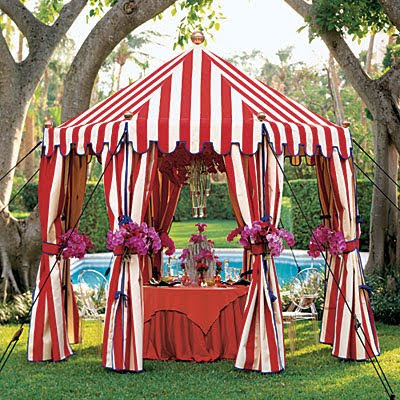 If you are looking for more beautiful tent inspiration, look no further than Boutique Tents which is out of South Carolina. 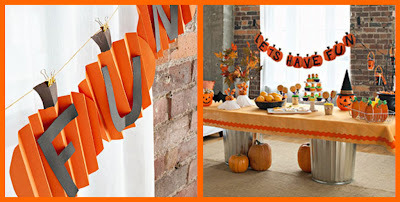 Here is a cute pumpkin garland that would be perfect for a children's Halloween party! Find the DIY instructions here. 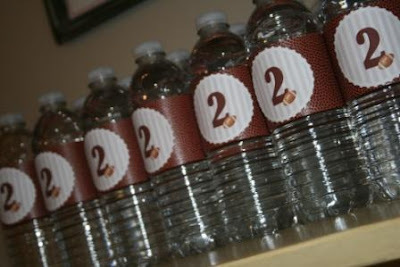 I love the clever name for this drink station! Better Homes & Gardens never ceases to disappoint with their holiday ideas. 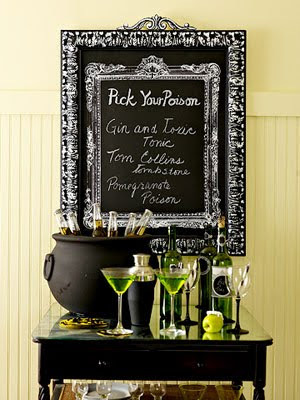 Click HERE to learn how to recreate the drink menu board.